This book is about image-architecture and the surprising apperceptive shifts that take place when today’s culture of ephemeral images and the stolid material traditions of architecture choose to embrace. Could you describe the building your dentist is in? Most of us could not. This amnesia is only partly explained by the fact that, on our way to the dentist, we are generally preoccupied with worry. Nor is our obliviousness explained by the fact that we typically occupy the public realm, wherein sit most buildings we see and use, in a state of what Walter Benjamin called distraction. Rather, the social contract that once existed between architecture and social attention—still in operation in works such as Robert Venturi’s I Am A Monument and rooted in a shared sense of hierarchy, autonomy and legibility—has been breached by the incursion of an infinite range of interlopers. All kinds of devices from advertising to ipods to gps gadgets now talk to us while we are on our way to the dentist. The net result is that, absent an exaggerated frame such as that produced by what has been called the “Bilbao Effect” that surrounds buildings most of us could describe, we have an almost total hysterical blindness where architecture is concerned. Given how much of the planet is covered by buildings, finding a way to see them, making sure they merit looking at, and understanding that these are mutually constitutive forms of visibility seems more than worth the effort. 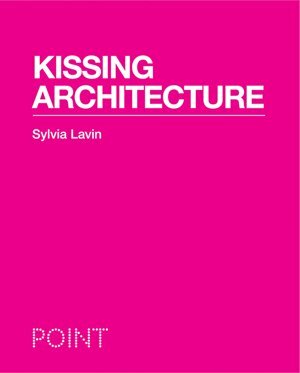 Kissing Architecture seeks to entice the way we understand architecture away from the register of architectural criticism of the 1990s—which, akin to the orality of dentistry, was full of probes, spit, and scraping critique—into the atmospheres of embrace, where flavor, succulence, and sensation are reintroduced into the province of intellected criticism. Pipilotti Rist and Doug Aitken, for example, produce works of super-visibility by soliciting several of the different types of attention we have developed for viewing video, painting, architecture, sculpture, cities, etc. at once and by putting these manifold attention states into dynamic play. The structure of this combine I liken to the kiss, a centrifugal force of attraction between two exquisitely similar but yet distinct things. Culture in a state of kissing, in a complex state of multiplicity, produces a new form of eidetic experience. It is highly memorable experience. But, unlike the memories inflicted by visits to the dentist, generated by pain and fear and producing blindness and amnesia, these experiences permit the momentary generation of new affects that in turn form the basis of alternative possibilities in the social aesthetic world. I hope Kissing Architecture is a pleasure to read. 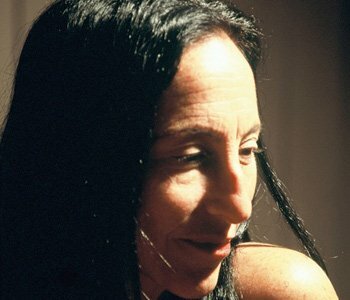 Yve-Alain Bois called the book a sip of champagne. That made me happy.